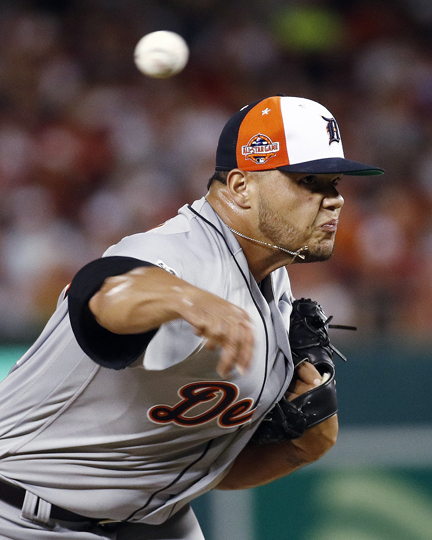 Detroit Tigers reliever Joe Jimenez faced only one batter at the All-Star Game on Tuesday night, but he made it count. Jimenez struck out San Francisco Giants shortstop Brandon Crawford after an eight-pitch at-bat and with a runner on first base to end the fourth inning and maintain the American League’s 2-1 lead. Jimenez nearly rung up Crawford on a 97 mph fastball on a 2-2 count, but home plate umpire Ted Barrett ruled it just a hair low. Crawford then fouled off two pitches before Jimenez got a more generous called strike with a slider on the outside corner. Major League Baseball seemed to take a selfie of itself, with all the homers and strikeouts. This was MLB 2.018, an update that’s not appealing to everyone. Editor’s note: This includes contributions from Evan Woodbery of mLive.com.